Facebook has been asked to remove the Scrabulous game from its website by the makers of Scrabble. The Facebook add-on has proved hugely popular on the social network site and regularly racks up more than 500,000 daily users. Lawyers for toy makers Hasbro and Mattel say Scrabulous infringes their copyright on the board-based word game. The move has sparked protests by regular fans of Scrabulous keen to keep the add-on running. Scrabulous is currently one of Facebook’s ten most popular applications - little programs that Facebook members can add to the profiles they maintain on the site. The request to remove the add-on came from both Hasbro and Mattel because ownership of the Scrabble trademark is split between the two. Hasbro owns rights to the game in the US and Canada while Mattel has rights everywhere else in the world. Facebook makes no comment to make at this stage. The Scrabulous add-on was not created by Facebook but was built for the site by Rajat and Jayant Agarwalla - software developers based in Kolkata. According to the Scrabulous website it has 594,924 daily active users - about a quarter of the total that have signed up to play it. The game has spawned a host of "scrabble cheat" sites which work out every possible word that can be made from the available letters. The threat to the game has spawned a new Facebook group called "Save Scrabulous" that already has more 600 members. Karl Savage, a member of the Save Scrabulous group, said: "A lot of people are saying shame on Hasbro, shame on Mattel, if you wouldn't be so short-sighted about this then you have an opportunity to actually make some money from this rather than alienate your existing customers. "I'd say find some common ground. Look at licensing," added Mr Savage. "Perhaps sit down together and say look, these guys have created this fantastic piece of software that lots of people use why not employ them or have a similar product on there that is licensed but use that to advertise your other products?" There has been speculation that the challenge to Scrabulous had been launched as Hasbro and Mattel prepare their own online version of Scrabble. Mr Savage said he doubted that would be a big success. 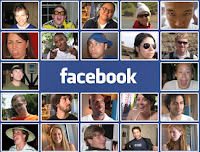 He said: "The main feature with Scrabulous for me is that I can play it in Facebook. I don't have to go to an external site and then search for all my friends all over again because I don't think that would work and I don't think many people would sign up for it." Links have also been posted to the customer service areas of the Hasbro and Mattel websites so fans can register their protests with the toy makers.